There are many myths and rumors about breathalyzer tests and how you can beat them. Everyone has probably heard a story about a friend of a friend who was able to pass a breathalyzer test by sucking on a penny or altering his breathing patterns. Getting pulled over for a DUI/OVI has led many people to desperate measures, but there’s only so much you can do if you’re asked to take a breathalyzer test after you’ve been drinking. Below are some common myths about how to beat breathalyzer tests, debunked. While eating before drinking can slow the absorption of alcohol into your blood, you cannot lower your BAC by eating food after drinking alcohol. Once you are drunk, it means that alcohol has already been absorbed through your stomach. Some people believe that chewing gum, mints, or mouthwash can alter the results of a breathalyzer test. While it may disguise the smell of an alcoholic drink, it will not lower your BAC. In fact, alcohol is actually odorless. What we consider to be the smell of alcohol on the breath is actually the odor of the ingredients found in many alcoholic beverages. For example, someone who drinks a non-alcoholic beer will have the same breath as someone who drinks an alcoholic beer. What’s worse is that mouthwash often contains alcohol. Remnants of the alcohol can remain in your mouth and increase your BAC result. Many people believe that burping right before or during a breathalyzer can affect the results. According to a study by the University of Wisconsin, however, there are no variances between breathalyzer readings if a subject burps while blowing into a breathalyzer machine. Does putting a penny in your mouth throw off the results of your breathalyzer? According to this myth, there is a chemical reaction between the copper in the penny and the alcohol in your breath. People believe that sucking on a penny reduces your BAC level, while others believe that the chemical reaction creates an exceedingly high BAC that calls the test’s validity into question. Regardless, the officer should be watching you to ensure that you have nothing in your mouth for 20 at least 20 minutes before taking the test. 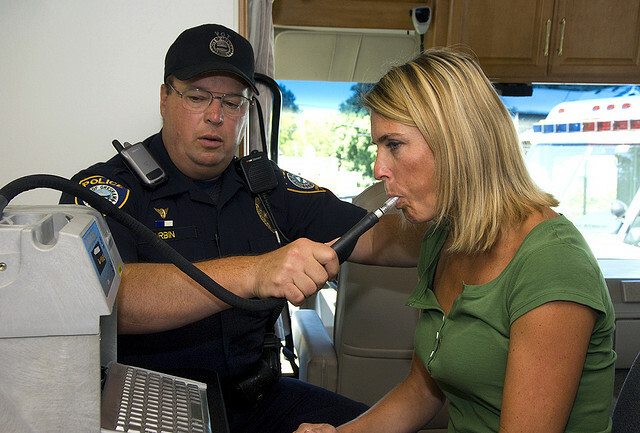 Breathalyzer test results vary depending on the stage when your breath is tested. The beginning of a breath has a lower BAC, while the end of a breath has a higher BAC. Holding your breath before blowing into a breathalyzer can actually raise the results of your test by up to 20%. While holding your breath can raise the results of a breathalyzer test, hyperventilating for approximately 20 seconds before taking a breathalyzer test may decrease your BAC readings by about 10%. However, an officer may ask you to breathe normally and take the test again if he sees you hyperventilating. There are many myths about breathalyzer tests that simply aren’t true. If you have taken a breathalyzer test and are facing a DUI/OVI conviction, consider discussing your case with a Fairfield County drunk driving attorney. An attorney can assess your options and help you fight for your rights in court. Contact Maher Law Firm today to schedule a free consultation with a Fairfield County drunk driving lawyer.